If I ask you to describe your most memorable ice cream experience, what immediately springs to mind? To start off, you might want to put it in context – a European holiday, the lazy heat of a summer’s afternoon, a long queue snaking down the street as you wait patiently for the ice cream van or a stolen after-school treat, still solid from the freezer and stuck to its flimsy paper packaging. Flavour is likely to come next on the agenda. You might be a plain vanilla kind of person, a die-hard chocoholic, or someone with a preference for all things fruity. The ice cream in question might be smooth and simple, or packed with bits – chocolate, nuts, flakes of this, flecks of that and swirls of sticky sauce. The vessel is also an important part of the memory. Licking the jagged edges of an ice cream as it drips from its precarious position atop a cone has always been one of my favourite things about Italian holidays, but you might prefer a cup with its tiny plastic spade for a spoon. Your experience might involve a single, perfect scoop (David Lebovitz springs to mind), or an enormous sundae bowl with frosted edges, filled with different flavours and topped with scribbles of sauce and cloudy pillows of whipped cream. You most memorable ice cream might even have been unceremoniously stuck on a stick. All these variables may be unpredictable, but moving on to the taste and texture, the same set of adjectives will inevitably appear; soft and sweet, silky and smooth, rich, creamy and cold. This is ice cream after all; of course cold comes into the equation. But not too cold. You don’t want to experience that rapid constriction and swelling of blood cells that results in the excruciating, if momentary, sensation also known as an ice cream headache. Unless you’re my Mum, who claims never to have had one, citing a wide, low palate as her in-built bodyguard, you’ll have encountered the particularly unpleasant form of pain often referred to as ‘brain freeze’. It’s understandably not very nice, and is unlikely part of your most memorable ice cream eating experience (unless you’re remembering it for all the wrong reasons). But what if you could make something so smooth and creamy, so lacking in crystals of ice that it actually felt less cold than a more traditional ice cream? Enter Jeni Britton Bauer, the incredible alchemist behind possibly some of the best ice cream you will ever eat. Jeni’s self-styled ‘splendid’ ice creams are formulated with scientific accuracy, incorporating small amounts of corn flour to absorb any additional water in the mix, rendering it soft, smooth and – bizarrely – less cold. The overriding experience when eating one of her ice creams is of smooth texture, slow melting butterfat and rich, round flavour; an altogether more gentle – and genteel – experience. Unfortunately Jeni’s seasonal and signature flavours aren’t available in the UK – she has numerous shops across Ohio and a thriving internet delivery business but is yet to crack our country – but her book of recipes is. After working my way through the Ben & Jerry’s bible and David Lebovitz’s The Perfect Scoop, I wanted to try some new techniques and flavours, and Jeni’s book delivers on both. All her ice creams are egg-free, instead incorporating unusual ingredients such as corn flour and cream cheese to achieve the desired texture. Her flavour combinations are unusual and exciting, from those featuring a hint of spice to exotic fruit and vegetables, as well as classics including some of my all-time favourites; chocolate, vanilla, salted caramel and, of course, peanut. The recipe below uses one of Jeni’s ice creams as a base, but also incorporates an adaptation of David Lebovitz’s peanut butter patties, placing the whole concoction in a giant chocolate case for a bit of fun and a play on the classic Reese’s Peanut Butter Cup. It’s rich and nutty, soft and sweet, and studded with pieces of smooth peanut butter patty which contrast wonderfully against the snap and crack of dark, bittersweet chocolate. All these attributes make it an ice cream worthy of any adult palate, but with the combination of chocolate and peanut butter, it’s really just a big kid’s treat masquerading as something more sophisticated. So grab a spoon, get stuck in and eat as much as you like. I promise it won’t give you a headache (except, perhaps, of the sugar-induced variety). Line a mini-muffin tin with paper liners and set aside. In a saucepan, heat the peanut butter, butter and brown sugar over medium heat until completely melted and starting to bubble a little, stirring constantly. Remove from the heat and add the icing sugar a little at a time. Stir until completely combined then set aside to cool. Melt the chocolate in a bain marie. Using a teaspoon, pour a small amount of melted chocolate into the bottom of each lined muffin cup. Pop in the fridge to cool for 10 minutes. Use a teaspoon to take balls of your peanut butter mixture out the ball. Roll them smooth, then flatten slightly and place one ball in each muffin cup on top of the melted chocolate. Pour more melted chocolate over the peanut butter ball until completely covered with a smooth top, then set aside to cool and harden completely. Pour your chocolate into paper muffin cases or silicone muffin moulds, then using a pastry brush, brush it up the sides. Hold them up to the light to check there are no translucent spots, then pop in the fridge to set. After about 20 minutes repeat the process to ensure the chocolate shell is thick enough to withstand breaking. In a small bowl, mix two tablespoons of the milk with the cornflour to make a smooth slurry. In a separate bowl, whisk together the cream cheese, peanut butter and salt until smooth. Fill a large bowl (or the sink) with ice and water to make an ice bath. Combine the remaining milk, cream, sugar, agave nectar and honey in a large saucepan. Bring to a rolling boil over a medium-high heat and allow to boil for exactly 4 minutes (set a timer as soon as it starts to boil). Remove from the heat and slowly whisk in the cornflour mixture, then bring back to the boil over a medium-high heat and cook until slightly thickened, stirring with a heatproof spatula – this should take about 1 minute. Remove from the heat. Gradually whisk your hot milk mixture into the cream cheese mixture until combined. Set the bowl of mixture in your larger bowl (or sink) of iced water and whisk until cooled – about 15 minutes. You could churn your ice cream now, although I prefer to allow it to chill completely overnight in the fridge. Once completely chilled, churn in an ice cream maker. When the ice cream is ready, turn into a container folding through chunks of your peanut butter patties as desired. When the ice cream has firmed up slightly, set your pre-prepared chocolate cups out on a flat worksurface. 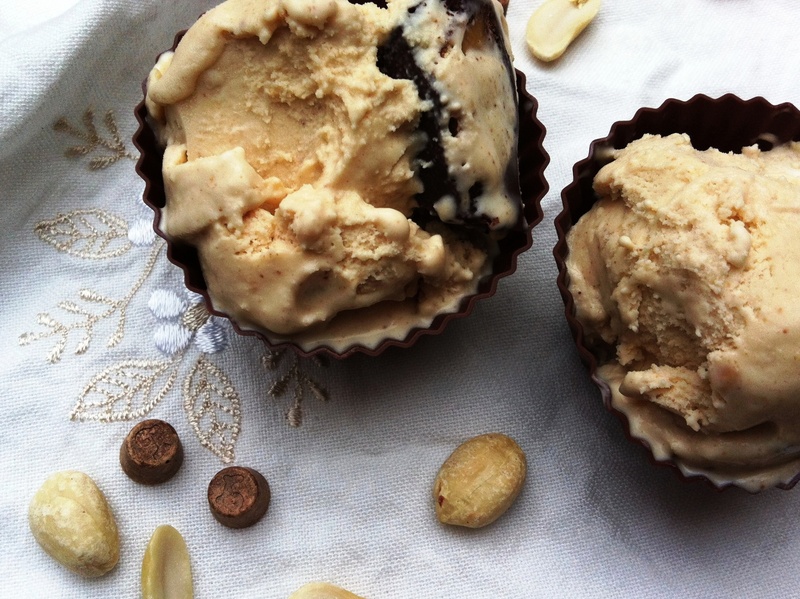 Using an ice cream scoop, fill your chocolate cups with scoops of the peanut ice cream. Put the filled chocolate cups on a tray and put them back in the freezer. Remove your ice creams from the freezer about ten minutes before serving to allow them to soften slightly. Enjoy! You are the ice cream QUEEN! I love this combination of sweet and salty and crunchy, it looks just divine! This really has to be heaven in an ice cream. Truly. I want one. Now. Personal question – what ice cream machine do you have/use? I think I might have to purchase an ice cream maker in order to make these. I am literally sat here salivating looking at these pictures! I am gone a few days and look at the delights you come up with! That book sounds so amazing because the techniques you described that she uses is exactly how I love my ice cream. Will have to pick up a copy, especially after seeing your take on her Honeyed Peanut Ice Cream. 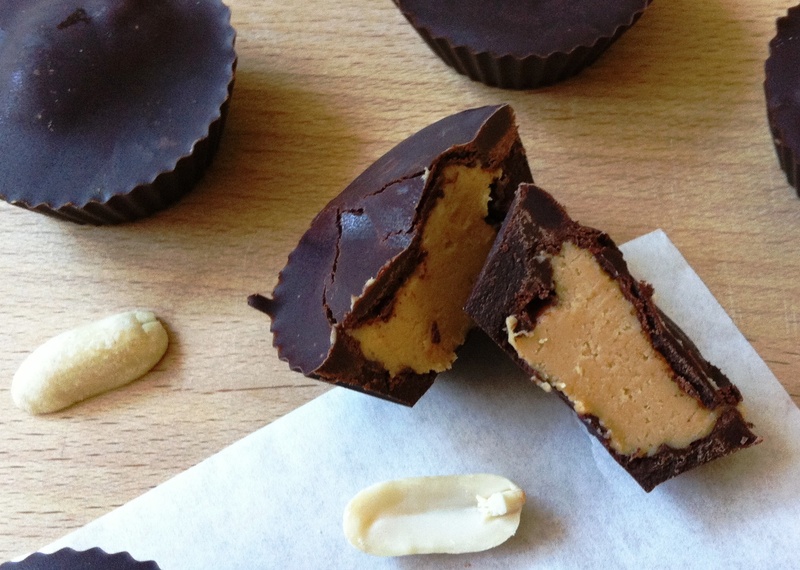 The peanut butter cups look so good – so so so so good! I am impressed you have managed to find someone who makes ice cream using such a different technique. Cornflour and cream cheese, have to try it just so curious! Reading your post took me on a fun ice-cream nostalgia trip. I hadn’t realized just how many happy memories I have that relate to ice cream. Thank you. But now I want new memories to attach to your concoction here. Wow! 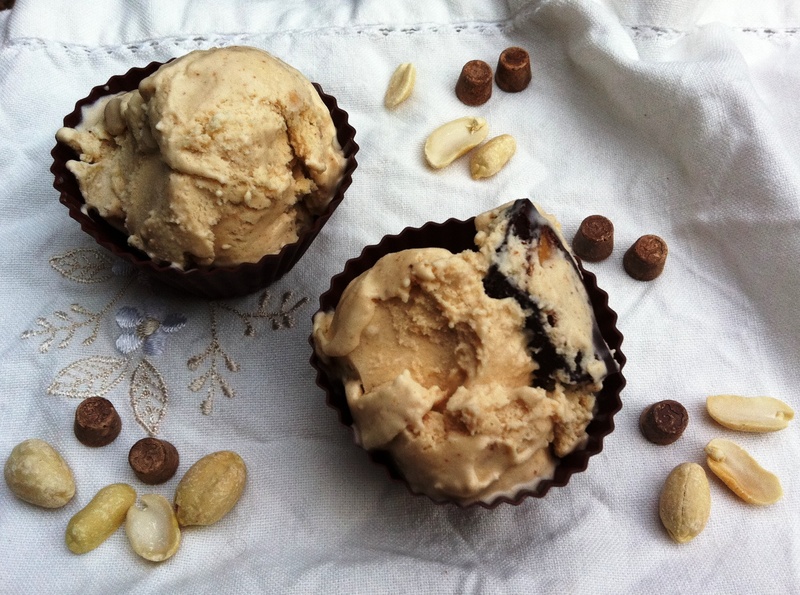 Peanut ice cream and homemade peanut butter cups… yes please! It’s really hard to leave a comment when your mind has been blown by the content. (long pause) Yup. Really hard. Kavey – haha thank you. Roll on ice cream wednesday 2012! Kathryn – sweet and salty desserts are pretty hard to beat. Skye – I have a Cuisinart double bowl ice cream maker – it always works really well and is great if you want to make more than one flavour at once! Lorraine – my pleasure! There are some really exciting looking flavour combinations in there. 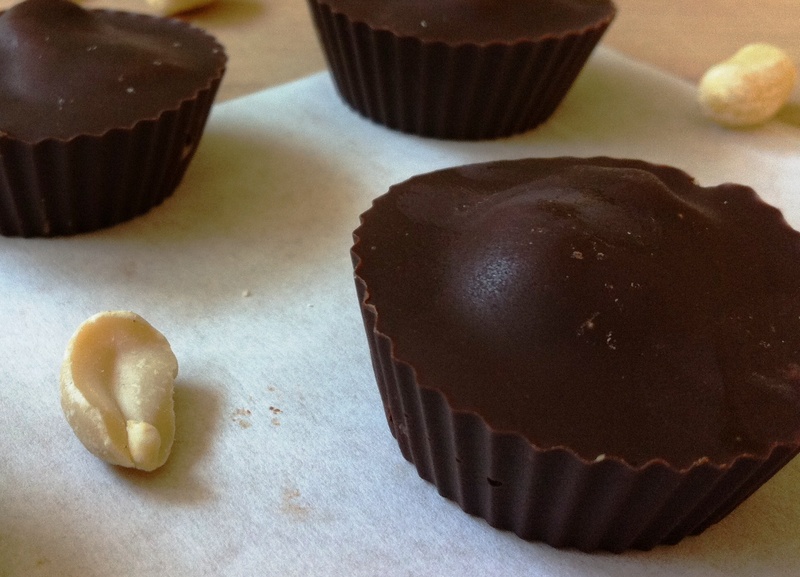 Lisa – homemade peanut butter cups are awesome. Laura – ah, thank you, what a lovely comment 🙂 It does sound bonkers, but somehow the cream cheese and corn flour do work. Oh wow – just came across your blog *from baking mad competition site* after being a bit nosy – looks lovely – this peanut butter ice-cream treat – I was going to say shame my other half doesn’t like choc Peanut butter but what am I saying…..all the more for me! I am so going to trial this one out! Thanks for sharing! these look amazing!! all my favourite ingredients – I love peanut butter and dark chocolate. It’s like you read my mind as I was going to make chocolate cups for my low fat banana ice cream – the vessel is definitely very important! Cornflour and cream cheese ice cream…I’m intrigued!!! It looks fabulous! It looks absolutely gorgeous….except…can I confess…I don’t really like ice-cream or peanuts! I can feast with my eyes though. I think you’re going to have to rename your blog Little Ice – you make such perfect ice-cream. These look and sound so fantastic, I just love the flavour combinations and just the sound of “honeyed” has my mouth watering. Twila – thank you, and hope you’ll be back again soon! Baking Addict – making the ice cream cups sounds a bit labour intensive but it’s worth it for that extra chocolate hit! Amy – ah, thank you. I love Italian gelato, but sometimes the big, gutsy American flavours are all that can satisfy certain cravings! Jennifer – you should try them out! Anita – do have a look at the ice cream index on my blog, there are a couple of egg-free recipes there too. 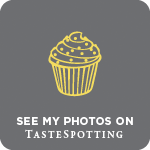 What a great blog post – not only do they look amazing but I’ve just absorbed some very interesting info on icecream! Wish I’d read this before I made icecream today! Beti – heavenly is the word! Skye – definitely put it to the top of the list, they are such a good present and I guarantee you’ll use it all the time. That looks heavenly!!! I am a huge peanut butter and chocolate fan and this is perfect. I made homemade pistachio butter cups a while back and looooved them. I adore the PB and choc combination, will have to make them again. Guess what? I must be the only other person in the world besides your mom who has never had a brain freeze…and I consume pretty large amounts of ice cream! This looks and sounds amazing! Like everything on your site, I only drop by once in a while because I don’t want to be drooling all over my computer. Oh my! I would LOVE some of these right now! Mondomulia – they are a bit of work, but 100% worth the effort, I promise! Baker Street – me too! I may have to resist making my own peanut butter cups. It is a slippery slope that will assuredly end with a wall of my house being removed to crane my body out.